I've been aware of these experiments for a while. I previously posted something about them back in 2009. 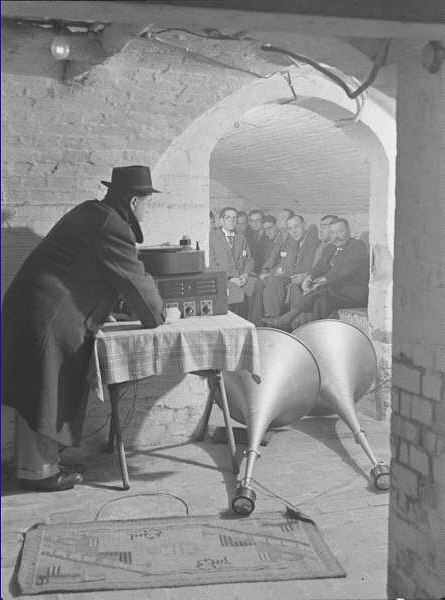 But I just came across these photos and realized they must be from one of these experiments. 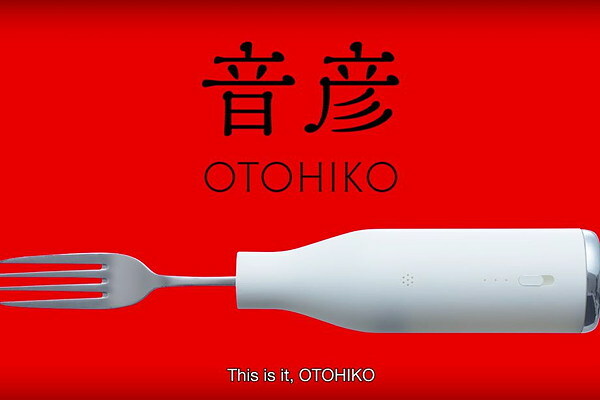 The OTOHIKO fork from Nissin, for noisy ramen slurpers. It doesn't actually cancel out the noise. When it detects a slurping noise it causes your phone to make a louder, wave-crashing sound, which drowns out the slurping sound. It costs ¥14,800. Or around $130. Cry of ecstasy or yell of pain? 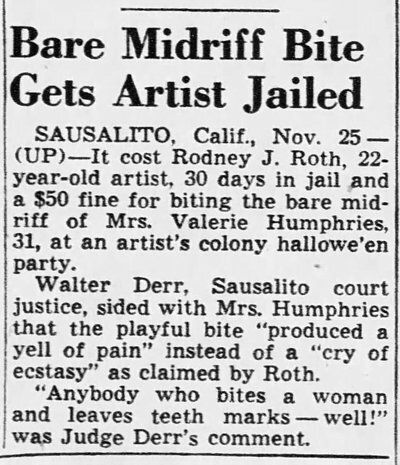 November 1949: Mrs. Valerie Humphries accused artist Rodney Roth of biting her bare midriff during a Halloween party — so hard that she yelled out in pain. 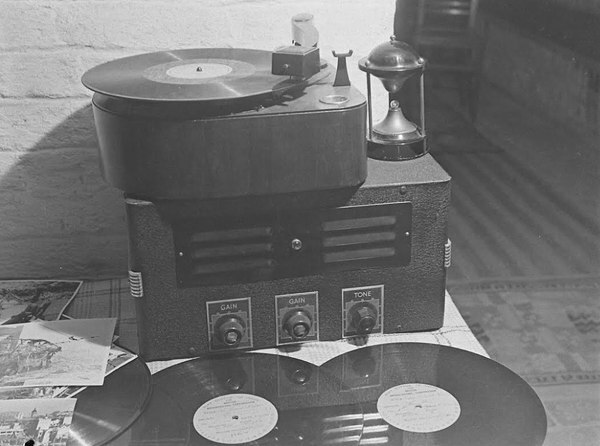 Roth didn't dispute the bite but insisted that the sound she made was actually a "cry of ecstasy." The judge ruled in favor of Mrs. Humphries. Classic headline and story from The New York Times - Jan 21, 1964. 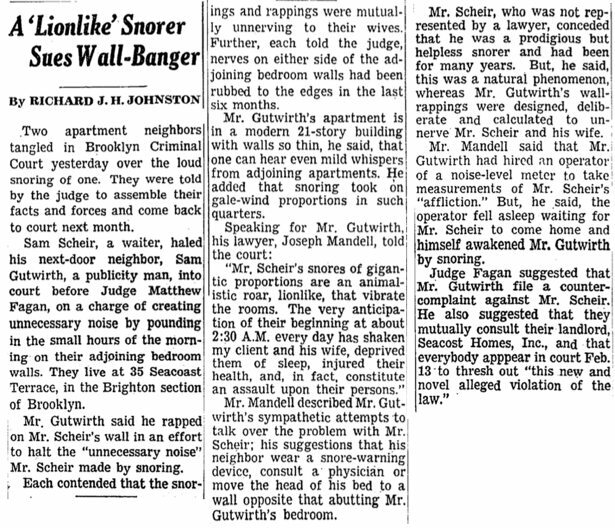 My favorite line: "Mr. Scheir's snores of gigantic proportions are an animalistic roar, lionlike, that vibrate the rooms. 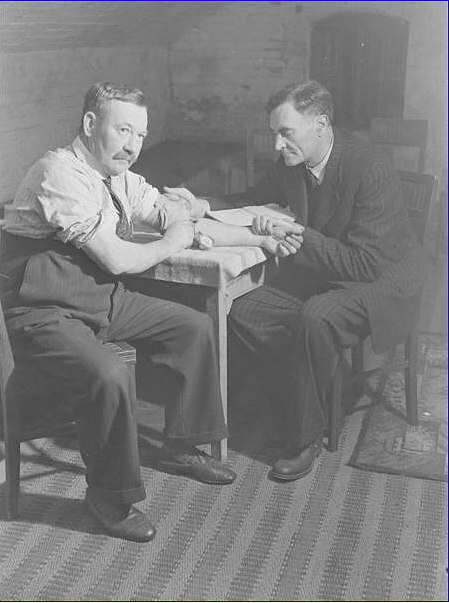 The very anticipation of their beginning at about 2:30 A.M. every day has shaken my client and his wife, deprived them of sleep, injured their health, and, in fact, constitute an assault upon their persons." 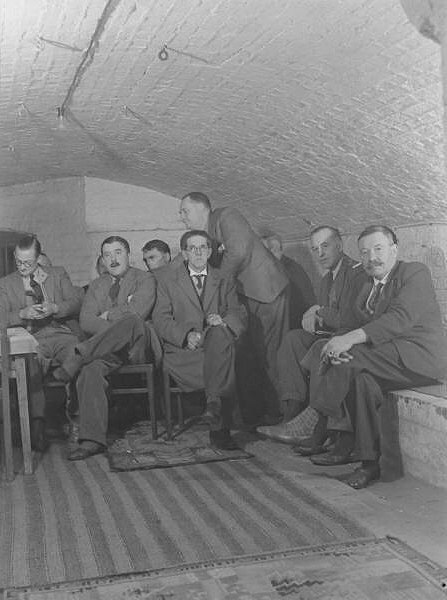 The case was subsequently resolved by the construction of a soundproof wall. 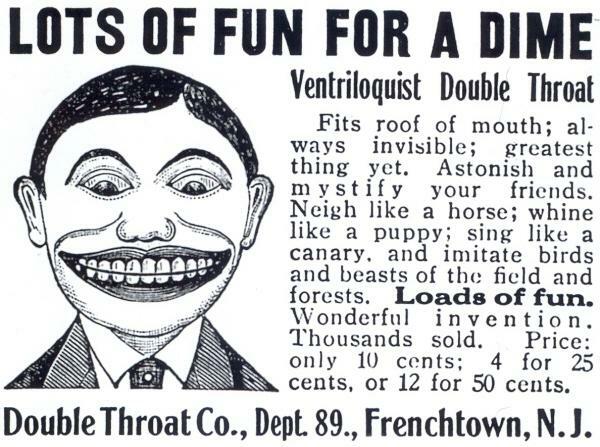 The Ventriloquist Journal explains that this ad used to run in the back of comic books. What you got, if you sent away for it, was "a capsule-sized metal whistle thing you were supposed to put in your mouth... it was useless for anything except making whistle sounds." If H. P. Lovecraft were alive today, sixteen years old and a Goth, this is the song he would have written. The only things missing are the word "eldritch" and some tentacles. More on the band here. And longings scorched seek reason to return. Furiously burning with such ravishing splendour. Who holds their cross in vain. No Phoenix phenomenon shall their fall contain! Leave their carcasses scattered and slain! Lofty and proud, to be recognized. I shall hunt them down in the snow. Of my fiery necromantic kiss! Can only quench my thirst. drown thy desire into mine! In the sins of the flesh we entwine. People have long reported that they've heard strange clapping sounds coming from the Northern Lights. But scientists tended to ignore these reports. 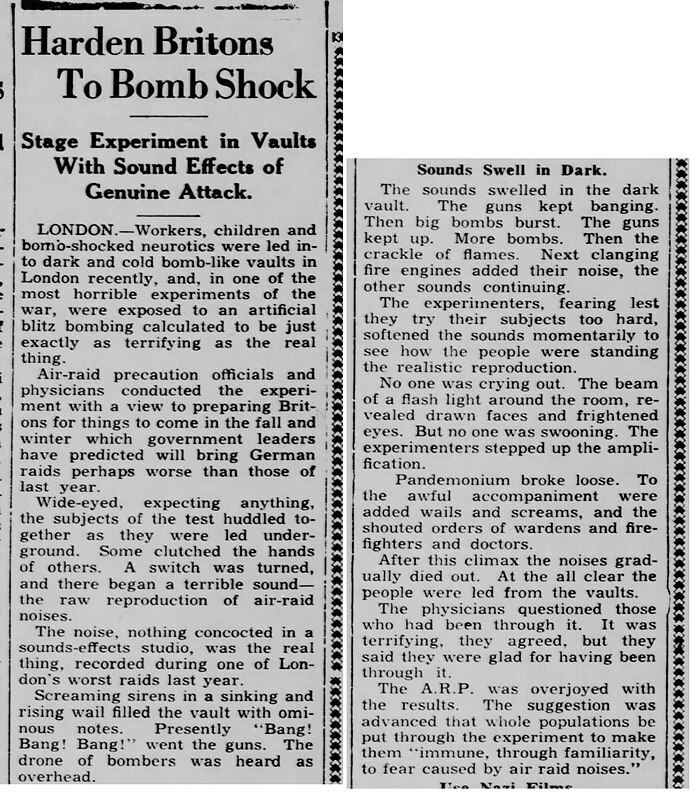 The people hearing the sounds were told they were imagining them, or that the sounds were coming from sources such as trees or falling ice. But now Finnish researchers at Aalto University have recorded the Aurora Borealis actually making these snapping/clapping sounds, and have confirmed (to their satisfaction) that the sounds couldn't have been coming from anywhere else. More info at space.com and at the researcher's website. What Does A Wombat Sound Like? Cranky Wombat from Better Buddies on Vimeo.